Check out Tobi's Harley Pleated Skirt Say hello to a skirt with some edge. 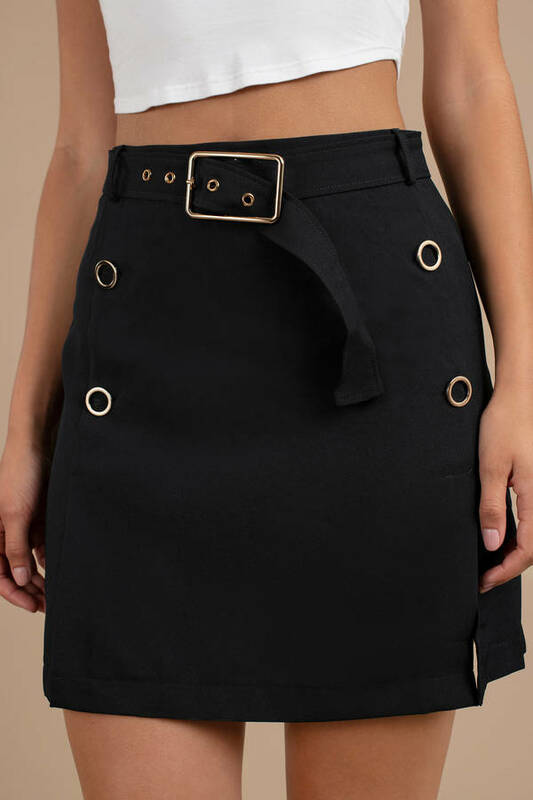 The Harley Black Skirt from J.O.A. features ring detailing with a side inseam zipper, side slit, and a buckled belt on a soft polyester weave. This embellished mini skirt belong with a tight crop top and chunky sneakers. Say hello to a skirt with some edge. The Harley Black Skirt from J.O.A. features ring detailing with a side inseam zipper, side slit, and a buckled belt on a soft polyester weave. This embellished mini skirt belong with a tight crop top and chunky sneakers.